If you’ve ever read this blog, you’ll know that I have no shortage of literary crushes. Why else would we have a Literary Hunk of the Month? Still, the decision of who to crown reigning Hunk of February started to feel somehow more important, what with the hearts and flowers and reminders from Hallmark about sending your love the very best. How could I ever choose one fictional superman when there are so many to adore? Seriously, though, Rochester stole my heart the very first time I read Jane Eyre, the minute he fell off of his horse and shouted, “What the deuce is to do now?” and he’s owned it ever since. He may not be all that attractive. He may frown and curse and be an outright grump sometimes. He may not be fond of the prattle of children, may tease Jane a bit too much upon their first meeting, and may be way too prone to dark moods. He’s flawed, and far from the dashing prince of fairy tales. When he rides in on his dark horse, he crashes straight into our fair maiden, and instead of rescuing her, he needs her help in getting back on his feet. He’s a completely complicated human being, and that’s exactly why I love him. Make no mistake—Rochester has his faults. Namely, that Big Bertha of a Secret he hides upstairs. We can get angry with him for keeping his past (and, okay, present) from Jane, but we can also see the man he could have been had his family not put his life on this course. We can forgive him, because above all else, the number one thing that makes Rochester such a worthy hero is his love of our poor, plain, obscure and little Jane. While he may party with the Blanche Ingrams of the world, he is never for a moment blinded by them, or blinded to all of Jane’s wonderful qualities. From day one he sees her as his partner. He speaks freely with her, appreciates her intelligence, her fortitude, her strength. He wants to know what is on her mind constantly, and we know that they will never run out of things to talk about. He loves her for her spirit and her soul and knows that he simply cannot exist without her. He is the only character—except, perhaps, for Helen Burns—who sees Jane for exactly who she is and loves her for it. For that, how can we help but love him? To me, there are two can’t miss Rochester portrayals that are very different, but each capture the man perfectly: Toby Stephens in the 2006 BBC version and Michael Fassbender in the 2011 adaptation. Great job as always, Steph! Love reading your descriptions even though I don’t know the characters. Someday you will entice me to read about one of these characters. Thank you!!! Keep an eye out and maybe someday I’ll write about Harry Bosch!! I’m imagining how long you went back and forth on this issue. Because this was a legit concern of mine when you started this feature . . . Believe me, I’ve thought about it. A lot. I do have to say that I don’t 100% agree with any of the portrayals of him on film. I read the book AFTER seeing a couple adaptations of the movie, and I still see Mr. Rochester as distinct from any of the actors who have ever played him. Which is one of the reasons he’s so awesome. He is SO awesome! What I love about those two film portrayals is that I feel like they each capture a different side of him, but you’re right–there can only be one true Rochester and that is the one on the page! I have just come across your meme, thanks to the blogger at wb32reads, and OMG, it’s a FABULOUS idea!! I think I’ll join starting this coming year. This is a great post! Edward Fairfax Rochester is on my list of literary hunks, too!! 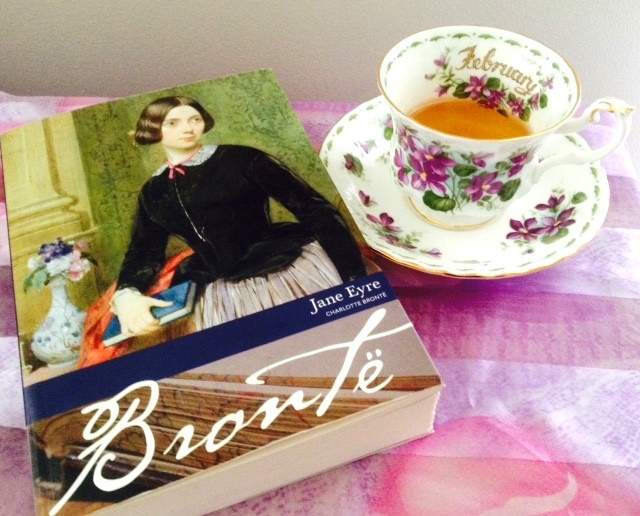 I first fell in love with him when I was 18 myself, and read “Jane Eyre” for the first time. And yes, this is also MY favorite novel of all time! You have excellent literary taste, let me tell you. I love Edward for all of the reasons you’ve mentioned. Oh, if only I could be Jane…..lol. Thank you so much for your kind words and for reading!! I am with you 100% – no one can hold a candle to Rochester! (Hm. Maybe I shouldn’t have used such a fiery reference there.) Thank you again for the nice comments!!! Jane & Rochester forever! !